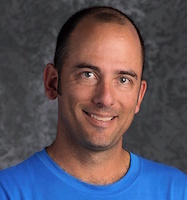 Prairie has announced Nich Schafer as the new head coach for the boys’ tennis program. Schafer, who has served as head girls’ coach since 2000, will now also take over a boys’ program that, for five plus decades, was overseen by Harold Swanson. This entry was posted in All News, All School, Athletics, Featured by Brendan O'Brien. Bookmark the permalink.